Dr. Alwan has been part of a Naperville tradition of dental comfort & care since 1994. 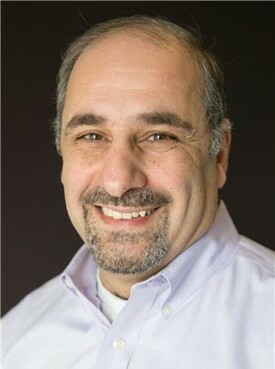 He graduated from the Northwestern University Dental School in 1983 & has dedicated his professional career to providing you with the best in dental comfort & care. He is continually educating himself & his staff on the newest techniques & approaches to offer you state-of-the-art, personalized & antiseptic dental care. Dr. Alwan has taken numerous hours of continuing education courses, including those at the Peter Dawson Center for Advanced Dental Studies & the Pankey Institute. He has also participated in Frank Spears' cosmetic courses. He is a member of the American Dental Association, the Illinois Dental Society & the Chicago Dental Society.